Today I wanted to introduce you to a beautiful bombshell named Elly Mayday! She is a strikingly gorgeous Canadian plus size model (originally from Saskatchewan but currently residing in Vancouver) with the essence of a pinup girl from the 1950s. She recently exploded onto the plus size scene and is everywhere. And why not, she is absolutely stunning! I have been eyeing her for awhile now, and it wasn’t until recently that we connected and started talking. You see… this past July, Elly announced to her rather huge facebook following that she had been diagnosed with ovarian cancer. 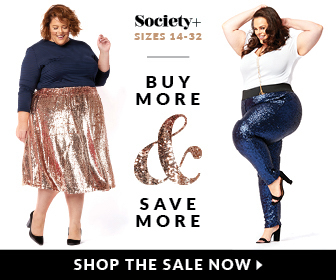 This news came as a shock throughout the plus size community, and prompted me to reach out to her in support as a fellow Canadian plus size advocate. And let me tell you, she is just as beautiful on the inside as she is on the outside! Recently, I had the pleasure of interviewing Elly for Killer Kurves and here is what she had to say about plus size modeling, fighting cancer and living life to the fullest. I had attempted to get into modeling in 2009, I was slowly working with new photographers and students who were interested in developing their portfolio. Checking the model section of Craigslist was an almost daily event. I would do a lot of Trade For Print work (which means I modeled for free in exchange for the photos) and worked with hair and makeup students in my spare time. I figured, free makeup, free hair, free photographer… if i got one good photo then it was worth my time. Building my portfolio was what I focused on and this is how I did it. After having put some time into my portfolio, I started going to different agencies; unfortunately no one signed me so I pursued my career as a Flight Attendant instead. Time went on and the modeling thing still was a dream I had. In September of 2012, I entered in a Pin-Up Contest at a local car show in order to have the opportunity to win a photo shoot with an extremely talented photographer named Shimona Henry with Pin Up Perfection Photography. After winning that I decided to contact a local dress designer named Diane Kennedy, who is the owner of Cherry Velvet Plus. She called me back a few months later to do a photo shoot when new product came in and I have been working with them ever since. I did the contest for fun an good people and good opportunities came my way after that. What challenges have you faced so far while modeling? I think the most difficult part was when I was searching for a plus size agency to represent me but no one would! I was either too small, too big, inexperienced and so on. I don’t think many people would be anywhere if they weren’t given a chance to prove something and I was determined to prove I could do this, even if it was on my own and not with an agency. What do you love most about plus size modeling? I love that no one in the plus size industry has said to me “oh, you have such a pretty face but…” hearing that “but” is so upsetting, like having a little extra weight was so damn wrong. I love modeling for women who deserve to be confident in their skin and showing them that being slim isn’t as important as being happy with your body. The people I work with are fantastic as well, Its important to work for people who are passionate about showcasing a healthy, realistic, full figured model in their clothing. I love the confidence I have gained from modeling, and my fans are amazing. What advice can you give to women looking to get into plus size modeling? My advise would be to practice! Know your best angles, learn how to dress and flaunt your assets. I took a different road and went into Pin-Up modeling because this was a community that embraced a curvier shape. Think strategically, it didn’t completely fall into my lap and I defiantly had lots of help from my friends. I taught myself how to do my hair, makeup and how to dress. When the timing was right and I was ready, opportunity came knocking; “luck is what happens when preparation meets opportunity”. You recently died your hair teal, can you tell me more about this? I died my hair teal because it is the color of the ribbon for Ovarian Cancer. I was diagnosed June 19th with a rare form of Ovarian Cancer and figured it would be a good way to spread awareness while having some fun. I have had a few photo-shoots so far with me new hair colour and I am hoping some good will come from all of this. I figured, why not!? I had went to a private high school and my current job in the airline industry certainly didn’t allow for such a striking color, so while I am off recovering I decided to have some fun! Despite being diagnosed with this terrible disease, having had surgery and now going through chemotherapy, you have seemed to be living your life to the fullest and working harder than ever. What advise and support can you give to a woman who is going through something similar to you? We can’t choose what comes into play over the course of our lives, all we can do is choose how to deal with situations like this. Feeling bad for yourself will change nothing. My father would always say “the poorest of us all, are those without purpose” and I feel as though I was given this platform to help people. There is no slowing me down, I see it as the beginning to something beautiful. I will be losing my hair from chemotherapy soon, and I’m sure I will face some confidence issues, but I need to practice what I preach. I am determined to show people that beauty come from within and that’s what matters most! A huge thank you to Elly Mayday for taking the time to talk with me. Make sure to stop by Elly’s facebook page and show her your love and support! To learn more about ovarian cancer and make a donation, visit Ovarian Cancer Canada. Just wanted to post and tell you not only do I believe you’re one Special courageous lady–that I pray you’ll come through this ordeal and be cured. . .but also you are one Exquisitely Beautiful, Lovely and Stunning Woman; GOD BLESS you in all you endeavor to do! ! !